Sometimes, simple is best. I had been cutting stained glass rose petals for three rose bushes on a patio table so had the rose drawings at hand. Pink roses such as this one are my favourites. 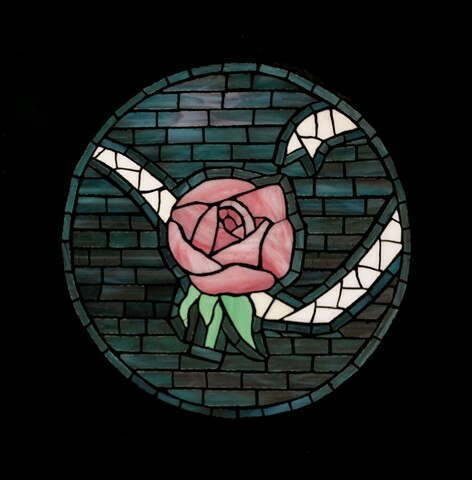 Placing one lovely rose in a vase has exactly the same impact as a bouquet; the same goes in this mosaic. This mosaic is available at the Fernie Arts Co-op, or by contacting us.